Exceptional throwing distance: 49 ft. max. : Two-stage snow blowers use a fast spinning impeller in the discharge duct to throw snow faster and farther. The HSS724 has a larger impeller diameter for increased snow removal - offering throwing distances that exceed many competitors. Clear up to 1500 pounds per minute: The combination of Honda 's GX series engine, optimized impeller pulley, and 90 degree impeller wing dramatically optimizes Honda's HSS series snow throwing capacity. 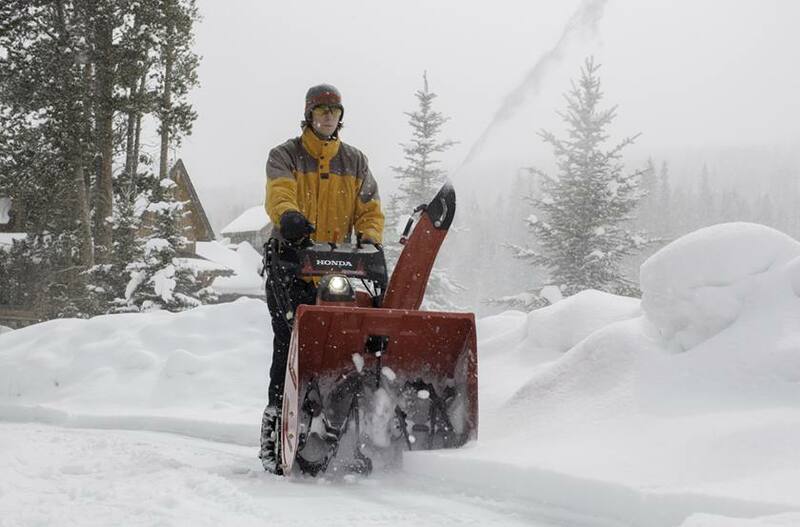 23.8" clearing width, 21.7" clearing height: The HSS724 can handle large snowfalls with ease. Auger Height Control: Variable auger heights for unbeatable clearing ability. : The all-new auger height control lever allows you to easily adjust auger housing height with just the press of a thumb. Variable positions let you choose the best height for different surface conditions. Raise the auger for uneven clearing surfaces. Or lower the auger to clear down to the pavement or cut through hard packed snow - without riding up on the snow being removed. 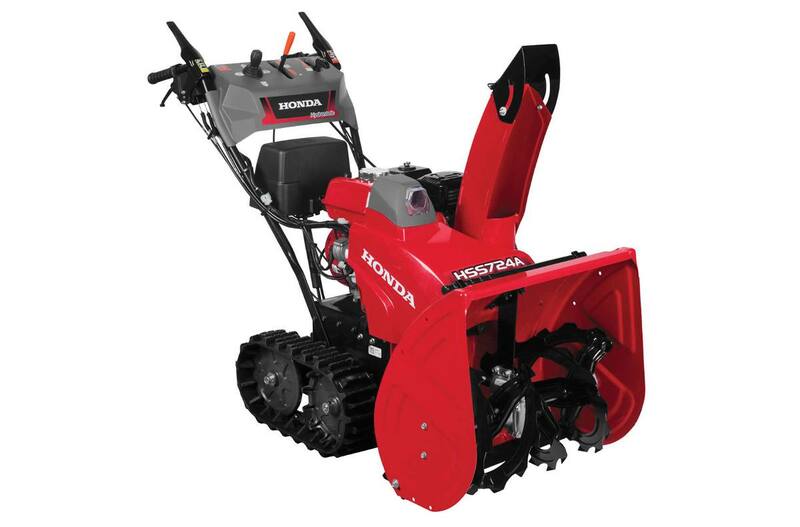 The auger height control gives you the ability to match the snow blower to your needs. Electric Start - No plug in required (ATD only): Automotive-style DC electric key starting makes your snow blower even easier. These models also come standard with recoil pull-start, for back up purposes. Available on the HSS724ATD. Chute Turning Radius: 198 deg. Max. Discharge Distance: 49 ft.
Dimensions (L x W x H): 58.5 in. x 24.8 in. x 43.5 in.